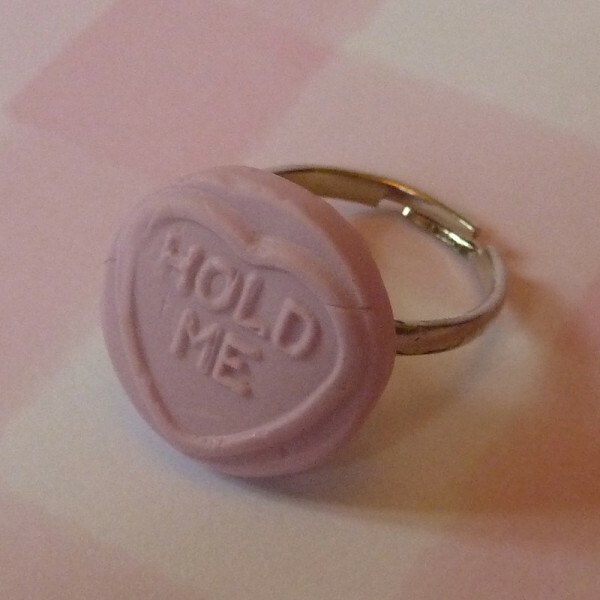 This sweet ring features a cute love heart clay charm on an adjustable silver plated ring. The Love Heart charms look good enough to eat, but no nibbling!! Choose from Strawberry, Violet, Lemon, Orange or Vanilla flavour at the checkout, or leave it blank for it to be a surprise. And let me know whether you would like the ring in child or adult size. Size: Child or Adult size, both adjustable. Matching Items are available - Necklaces, Earrings, Hair Clips, Bracelets, Cufflinks and More!